Funeral Services for Mr. Henry Lee Berry of Americus, Georgia will be held on Saturday, August 30, 2014 at 4:30 P.M. in the Chapel of West’s Mortuary in Americus, Georgia with Rev. Charles Miller officiating. Burial will follow at the Lebanon Cemetery in Plains, Georgia. Mr. Berry died on Wednesday, August 27, 2014 at the Phoebe-Sumter Medical Center. Mr. Henry Lee Berry was born on March 24, 1945 in Sumter County Georgia to the late Mr. Bishop “Cooper” Berry and Bertha Mae Laster. He was educated in Sumter County, and worked and retired in West Palm Beach, Florida. He is preceded in death by his wife of 30 years the late Mary Alice Merritt Berry, and two brothers Willie T. Berry, and Forrest Berry; three sisters Effie Mae Raven, Ruth Favors, and Rachel Simpson. He leaves to cherish his memory a daughter Kizzy Brown of West Palm Beach, FL, a son Willie Berry, a step-daughter Carolyn Joanne Brown (Ollie) of Americus, GA; one brother, Bishop Berry of Atlanta, GA; three sisters: Charlene Merritt of Americus, GA, Gloria Beckham (Jerry) of Atlanta, GA, and Clara Thomas of Plains, GA; three sisters-in-law: Julie Hayes (Edward) of Cobb, GA, Johnnie Mae Merritt of Leslie, GA, Willie Mae Gamble of Forest Park, GA, and Ethel Berry of Atlanta, GA; three brothers-in-law: Clifford Merritt, Americus, GA, Dennis Merritt (Shirley) Americus, GA, and Leroy Merritt, Leslie, GA. A host of grandchildren, nieces, nephews, and friends also survive. Funeral services for Ms. Elizabeth Annette Peeples Bunkley of Butler, Georgia will be held on Saturday, August 30, 2014 at 1:00 p.m. at Second Flint River Missionary Baptist Association Center in Butler, Georgia with Elder David Towns, Jr. officiating. Burial will follow at Little Vine Cemetery in Reynolds, Georgia. Visitation will be Friday from 1:00 to 7:00 at Welcome Home Baptist Church in Butler, Georgia. Born in Reynolds, Taylor County, Georgia, Ms. Elizabeth Bunkley was the daughter of the late Mr. Bennie Peeples, Sr. and the late Ms. Lula Towns Peeples and was affectionately called “Leah”. At an early age, she accepted Jesus Christ as her savior and joined Macedonia Baptist Church. She was married to Mr. Johnny Bunkley who preceded her in death. They shared many years together. Ms. Bunkley passed away Wednesday, August 20, 2014 in Columbus, Georgia. Her memories will forever be cherished by her loving daughter, Patricia Evon (Larry) Kendrick of Butler, GA; three devoted grandchildren, Emmanuel Bunkley, Tyronda Bunkley, and Larry Kendrick, Jr.; a devoted friend, Frankie Ford; four brothers: Shellie (Zella) Peeples of Junction City, GA, Lorenzo (Cathy) Peeples of Thomaston, GA, Johnny Harris and Timothy Peeples both of Reynolds, GA; two sisters: Linda (Forrest) Bunkley and Angelia Parks both of Butler, GA; five aunts: Nellie Towns of Reynolds, GA, Eula Pearl Towns of Atlanta, GA, Margaret Lockhart of Milwaukee, WI, Christine Edwards and Essie Lee Towns both of Butler, GA; two uncles: David (Christine) Towns, Sr. of Butler, GA and Alexander Towns of Milwaukee, WI; a sister-in-law, Bessie Brown of Butler, GA; a brother-in-law, Willie (Dorothy) Phelps of Reynolds, GA; a devoted friend, Betty Lee Wilson; her great-great grandchildren: Emmanuel “Spike” Ross, Marlaysia Bunkley, Zy’Kerriah Jones, Markia Bunkley, Dallas Jones, Jr. and Aden Corbin; a host of nieces, nephews, cousins, other relatives and friends. Funeral services for Mr. Harry A. Lewis age 90 of Americus, Georgia will be held on Saturday, August 16, 2014 at 10:00 A.M. at his home on Laudig Lane in Americus, Georgia with Elder David Towns officiating. Burial will follow at the Eastview Cemetery. Mr. Harry A. Lewis was born on April 26, 1924. He was the son of the late Alvin Ecot Lewis of Barbados and the late Alice Clark of Saint Kitts. Mr. Lewis lived a full, blessed and productive life. He received a Bachelor's Degree in liberal arts. Mr. Lewis had a long and distinguished professional career in county government and the banking industry. Positions Mr. Lewis held during his career included operations manager of the check processing division, First Fidelity Bank and Director of Buildings and Grounds, Division of Public Works for Essex County New Jersey. 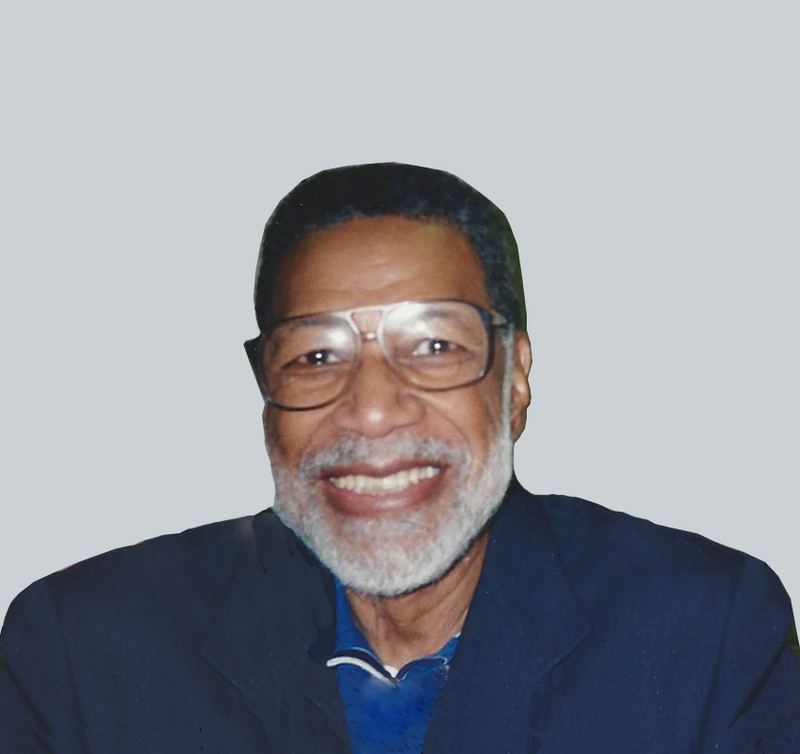 Mr. Lewis was also an income tax specialist and helped many people during his lifetime. The general public perception was that Harry A. Lewis wrote the IRS tax code because his knowledge and expertise was so vast. Mr. Lewis was a member of Trinity Episcopal Church in Newark, New Jersey, where he once served as an acolyte and was involved in many church ministries. Harry and Della were married on May 10, 1981. To this union no children were born. Mr. Lewis died on Saturday, August 9, 2014 at the Phoebe-Sumter Medical Center in Americus, Georgia. He was preceded in death by a son Shoncliff Lewis. Mr. Lewis leaves to cherish his memories: His loving wife, Della, of Americus, Georgia; one son, Carleton Lewis of Newark, New Jersey; two daughters: Melody Josey of Americus, Georgia, and Vanessa Josey of Americus, Georgia; nine grandchildren: Stephanie, Shoncliff (Jr.), Yanni, Ledelle, Xavier, Candace, Nina, Alana, Keliliah; nine great grandchildren: Gabrielle, Taylor, Alyssa, Caleb, Spirit, Desmond, Devin, James, Sydney; one sister, Doris Lewis of Newark, New Jersey; one brother Duncan Maughn of Barbados (preceded in death); one niece Lorraine Lewis of Newark, New Jersey; one nephew Victor Maughn of Barbados; four sisters-in-law: one brother-in-law and a host of other relatives. Funeral services for Deacon Clarence Josey affectionately known as “Cotton Tail” of Americus, Georgia will be held on Tuesday, August 12, 2014 at 1:00 P.M. at the Mt Olive Baptist Church with Rev. Dr. H.C. Wilson officiating. Burial will follow at the Eastview Cemetery. Deacon Clarence Josey was born in Sumter County, Georgia on March 7, 1937 to the late Eddie & Fannie Josey. He received his education in the Americus School System. He later moved to New York and worked several years for Owens Illinois Glass Company. In 1974 he moved back to Americus and worked at Round Tree & Glovers Wholesale Grocery Company. Mr. Josey later joined the Mt. Olive Baptist Church where he served as a Deacon until his health failed. Mr. Josey died on Friday, August 8, 2014 at the Lillian Carter Nursing Home in Plains, Georgia. He was preceded in death by three siblings: Ms. Juanita Brown Josey, Mrs. Sandra Josey Williams and Mr. Wilbur G. Josey. He leaves to mourn his passing a devoted wife of 50 years, Mrs. Jewell Greene Josey of Americus, Georgia; one son Clarence Newkirk Josey of Clinton, South Carolina; four sisters: Ms. Lena Josey, Mrs. Mary (James) Russell, Mrs. Carmen (William) Clark, and Ms. Lorena Josey; three brothers: Mr. Eddie W. Josey, Mr. Jimmy (Doris) Josey and James (Mary) Josey all of Americus, Georgia; four sisters-in-law: Mrs. Ruby Jean Brewer of Hazlehurst, Georgia, Mrs. Zadine B. Harris of Linden, New Jersey, Mrs. Barbara (Jesse) Johnson of Glenwood, Georgia and Ms. Gail Dixon of Alamo, Georgia; two brothers-in-law: Mr. George (Francis) Greene of Linden, New Jersey and Mr. Troy (Gloria) Greene of Irvington, New Jersey; one aunt, Mrs. Ida Bell Floyd; one uncle, Mr. William Floyd; two devoted friends: Mr. Benjamin Jones and Mr. John Roach. Several of relatives and friends also survive. Funeral services for Mrs. Barbara Jean Fulks will be held on Thursday, August 7, 2014 at 11:00 A.M. at Mount Calvary Primitive Baptist Church in Andersonville, Georgia with Elder Walter Austin officiating. Interment will follow at Oglethorpe City Cemetery. Mrs. Barbara Jean Fulks, daughter of the late Robert and Mina Mae Tookes Haugabook, was born May 12, 1946. Barbara grew up in Montezuma and was a 1966 graduate of D.F. Douglass High School. At an early age she confessed her faith in Christ and became a member of New Phillip Primitive Baptist Church. She was united in holy matrimony to Henry Lee “Bo” Fulks August 28, 1976. They shared twenty-seven beautiful years together until Bo passed away November 4, 2003. Barbara passed away on Friday, August 1, 2014 at her residence. She will always be remembered for her dedicated years of service to the Montezuma Nursing Home and Magnolia Health and Rehabilitation center of Americus where she retired as Director of Housekeeping in 2005, after twenty-three years of service. Her beautiful life will forever be cherished in the lives of her two sons: Harry (Carnita Gordon) Wilson of Oglethorpe, Georgia and Eric Williams of Montezuma, Georgia; her grandchildren: Harry Wilson, Jr., Calandra Wilson, Thaddeus Wilson, De’Aundre Wilson, Niambi Wilson, Eriana Williams and Eric Williams, Jr.; great grandchildren: Jermarion Harpe, D’Zyria Harpe, Rontavious Walker, Jr., La’Quavo Wilson and Alaysia Wilson; sisters: Fannie Mae Haugabook and Mariah “Tick” Yisrael of Oglethorpe, Georgia; sisters-in-law: Virginia Fulks, Mary Fulks, Pearlie Fulks and Gwendolyn “Sue” Lockett; nieces: Chemika Harp Haugabook, Melody Felton, Mesha Lockett, Demetria Haugabook, Ashley Fulks and LaRhonda Smith; nephews: Cornelius Haugabook, De’Marco Fulks, Corey Fulks, Robcorneil Bediako and Roytavious Smith; a host of great nieces, nephews, other relatives and friends.